If you book on this site you get the best rate available anywhere! 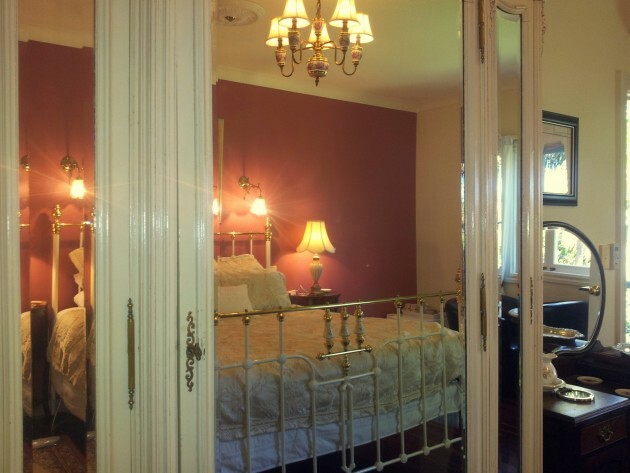 Click on the availability link below for pricing details for the Country Rose Room. The Country Rose Images below have simply been taken by John with a Samsung G2 mobile phone. 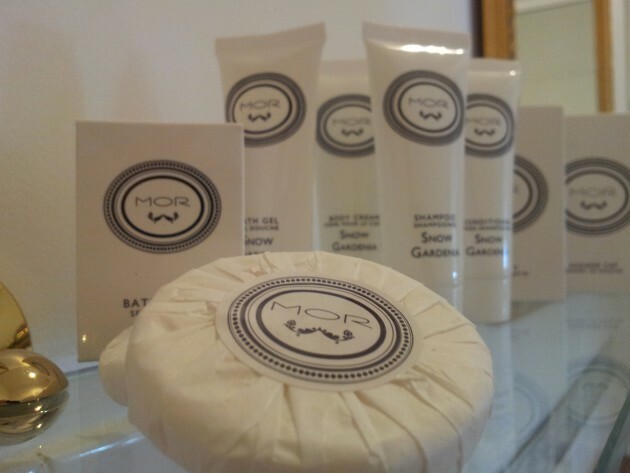 They may not be of great quality but are placed here to give you a clear indication of what the room is like and what you can expect when you stay at Amore B&B Tamborine accommodation. 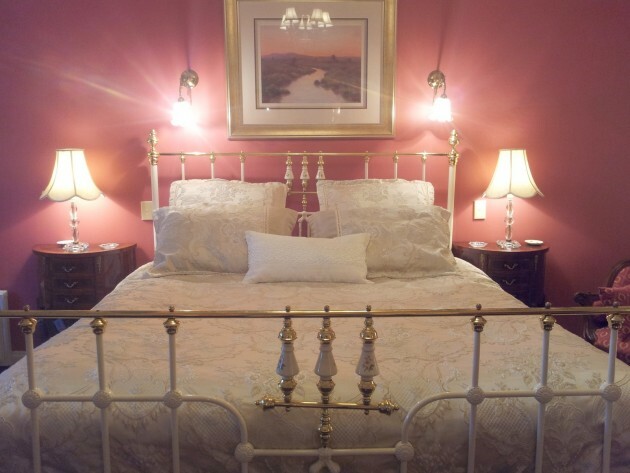 The Country Rose room radiates a warm and welcoming ambience. The pink feature wall blends in perfectly with the French antique furnishings and the elegant gold doona cover is the centre piece of the room. A comfortable King Size Bed with mattress topper, electric blanket in winter and blockout curtains ensure that you will have a comfortable night’s sleep. The small, but private verandah, is a place for you to entirely relax. 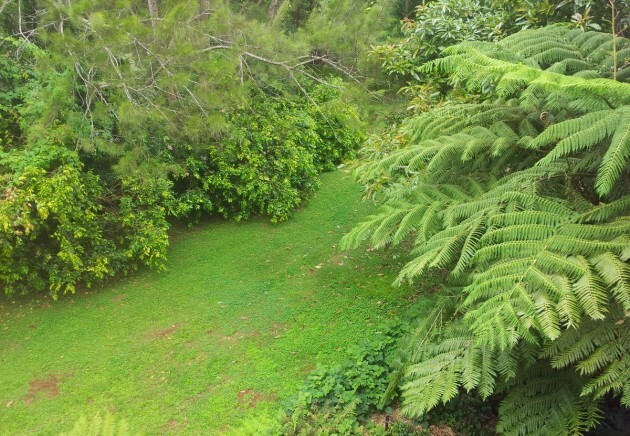 Look out over the back gardens and perhaps see the wildlife living there. You may care to enjoy your complimentary port and chocolates or use the free WiFi connection from your verandah – many of our guests do. 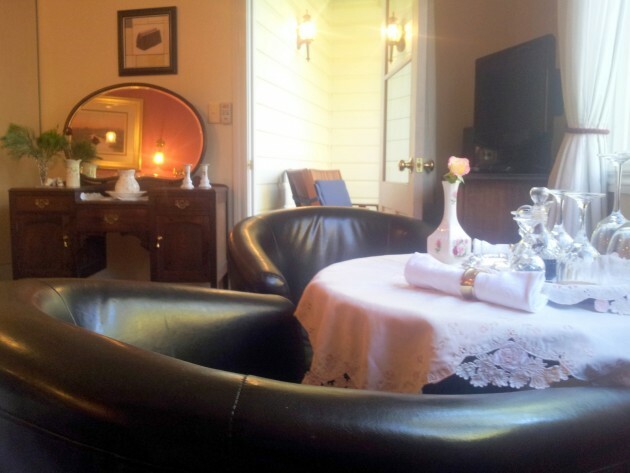 The Country Rose is a romantic and cosy room to make for perfect accommodation in Tamborine Mountain. A number of French antique furnishings on display in the Country Rose Room. Sit down relax unwind and plan your day’s activities. You will have a great nights sleep. 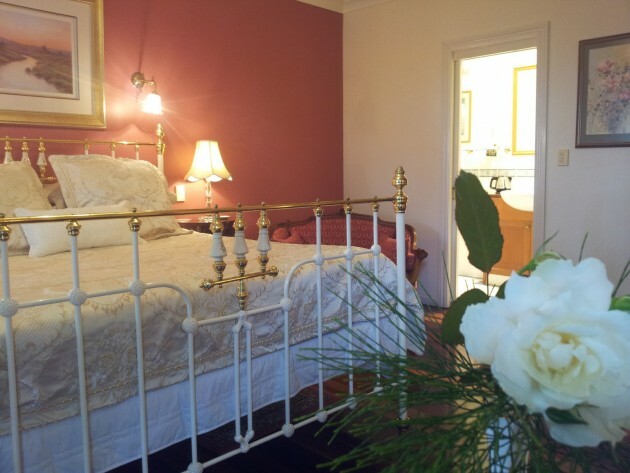 The Country Rose en suite. View from the Country Rose Balcony. On the Country Rose Balcony. See the sunrise from your balcony. If you too want to experience all that Mt. 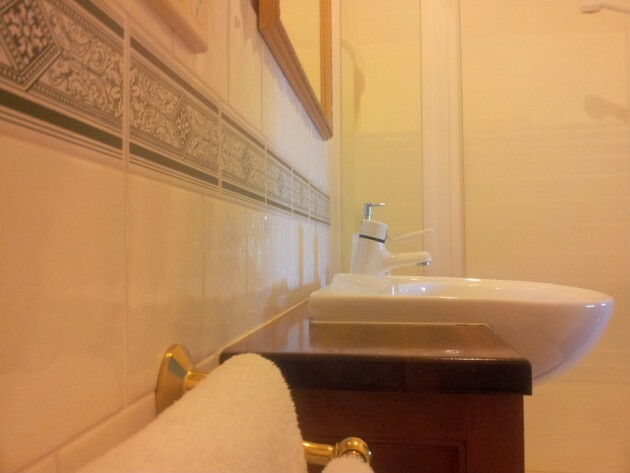 Tamborine has to offer then give Kay or John a call on (07) 55452330 to secure your booking. Amore is located across the road from the yummy cheese factory and boutique brewery. Gallery Walk is just a minute’s walk for shops, cafes, restaurants, galleries, cellar door outlets. 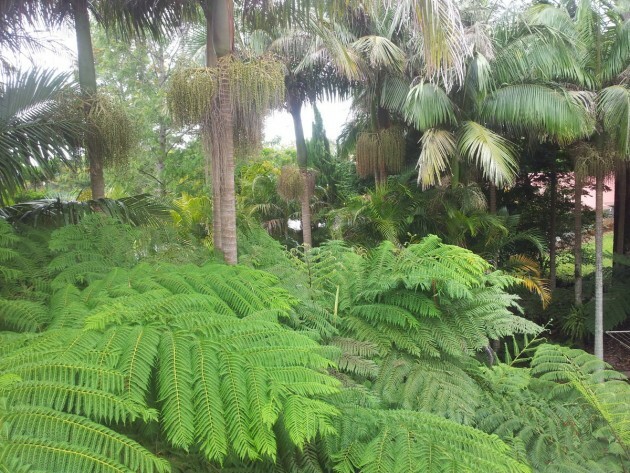 Stroll to three National Parks and experience an invigorating rainforest bush walk. The Gold Coast Theme Parks are just a 20 minute drive away. Amore is perfectly placed to explore Tamborine Mountain. Please click the CHECK AVAILABILITY— BOOK A ROOM button in the header above for complete pricing details for your stay at Amore.